It's been 6 years and we are ready to party... Haunted Carnival style! 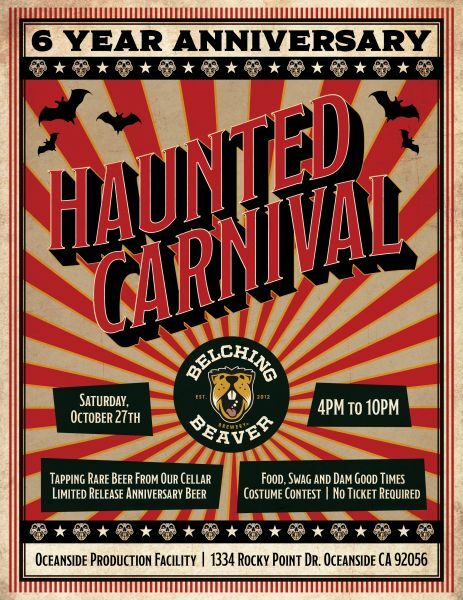 We'll have crazy clowns, a fortune teller, games, prizes, costume contest, food, music and the best part... special release beers. Special Release Beers: Fall of Troy Orange Vanilla Milkshake DIPA, Dry-hopped Golden Sour (Party Goblin), BA Imperial Stout w/ Mostra Coffee, (Dance Magic) Sours from our cellar and more!